SEATTLE—In an effort to protect at-risk animals from those who might wish to do them harm, the U.S. 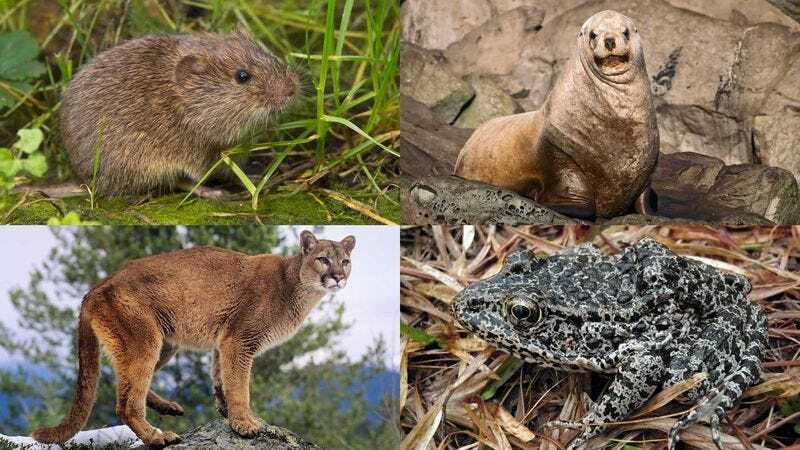 Fish and Wildlife Service announced Friday it had launched a program that provides endangered species with new names and habitats to ensure their anonymity. “In order to safeguard the lives of innocent creatures and preserve the biodiversity of our nation’s ecosystems, our Species Protection Program creates entirely new identities for animals and relocates them to places where no predator or poacher will ever find them,” said service director Vincent Hill, who confirmed that the former California condor now goes under a pseudonym and, in fact, no longer lives in California. “For example, we just moved a whole warren of brush rabbits from their home along the Columbia River because some fur trappers took a hit out on the poor fellows. Now, as long they keep their heads down, they should be safe.” The program has already come under intense scrutiny following an incident in which a herd of woodland caribou was reportedly reassigned to live in a dolphin community in the middle of the Pacific Ocean.